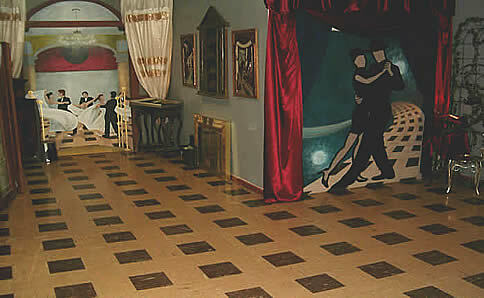 The most comfortable ballroom dance studios in the Twin Cities, MN. * Our 2019 Dance Cruise & Weekend Dance Retreat Schedule is available! We offer an excellent ballroom and Wedding Dance Lessons that makes dancing comfortable for beginners to advanced social dancers. Our dance instructors are patient and teach at your pace...in a unique and comfortable setting. Choose from PRIVATE BALLROOM DANCE LESSONS & WEDDING LESSONS or group lessons or Valentine's classes!. We offer singles and couples dance lessons and dance classes for salsa, swing, tango, waltz, foxtrot, rumba, cha cha, weddings, first wedding dances and more. Within a short period of time you will be able to dance comfortably to most any style of music... anytime... anywhere! Guaranteed. "Our lessons were fun, easy, and we definitely exceeded our expectations!" This common quote is heard consistently from many grateful students! Gift certificates available by email for Valentine's Day, holidays, or bridal party gifts are also available. We also offer dance parties through the Phipps art center, and are planning a number of dance retreats at some of Minnesota's finest resorts. "I consistently receive thanks from my students for the positive effects dancing has had on their lives and in their relationships." - "It has been my privilege to positively affect so many lives and create so many memories for my students and for myself."